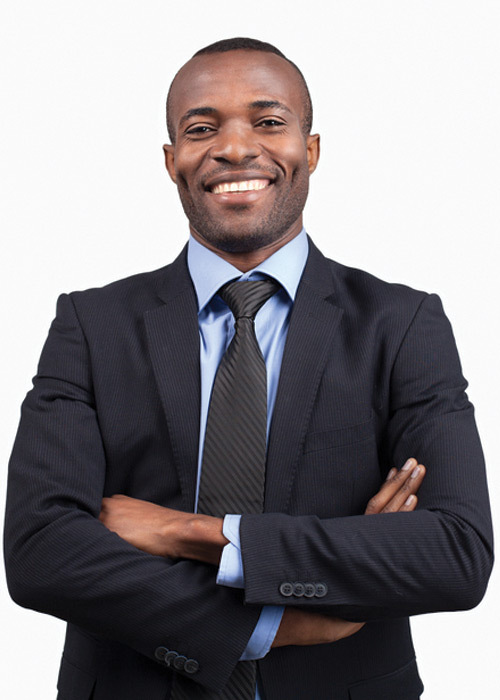 Why register as a BLSA CONNECT CHAMPION on the BLSA Connect platform? By registering as a buyer, you immediately have free access to use the portal to publicise all procurement and other relevant opportunities and have access to a wide variety of competent black owned suppliers. 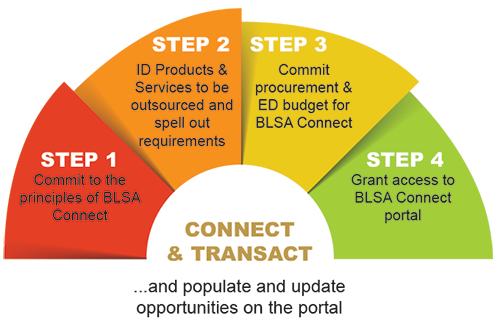 Registration on the BLSA Connect platform is free and a quick and easy two-step process. Submit and store contract opportunities (notices, calls for Requests for Quotations (RFQ), Requests for Information (RFI). Use the contract in a contract opportunity for publication – blasaconnect.com provides a central resource for all public sector bodies and corporates to submit their opportunities for publication on the BLSA connect.com platform FREE of charge. Identify suppliers by the products and services you require – Search the Online Trading Platform’s Supplier Information Database (SID) service using a variety of criteria to locate suppliers who have published their supplier profile and view their information. Bring your contracts to the attention of specialist suppliers. Use the portal as an extra channel to supplement existing procurement advertising activity. Potentially save development costs by using the portal instead of setting up a new online service. Access to more innovative products and services from a wider range of suppliers. Small businesses are often early adopters of new technology and their size makes them more flexible. Potential gains from better value suppliers. Increased contact with leading entrepreneurial individuals. Search the database by location, product or service to assist in expanding and stimulating competition in your supplier base. Access a profile of each business listed to quickly pinpoint the right type of product or service and generate a shortlist. Easier access to a pool of specialists with experience in niche markets. Develop your existing supplier base. Find more competitive businesses, resulting in better value solutions. Promote your organisations’ support for small businesses throughout South Africa.